Dizziness can occur if you suddenly feel lightheaded, woozy, or a sense of unbalance. It directly affects the sensory organs, mainly the eyes and ears, and if severe enough, it can cause a person to faint. I wouldn’t label dizziness a “disease,” but it may be a symptom of another disorder. Dizziness is typically a result of vertigo (inner ear problem) or disequilibrium (lack of balance). 1. Benign paroxysmal positional vertigo (BPPV): This occurs when the room starts to spin like a windmill. 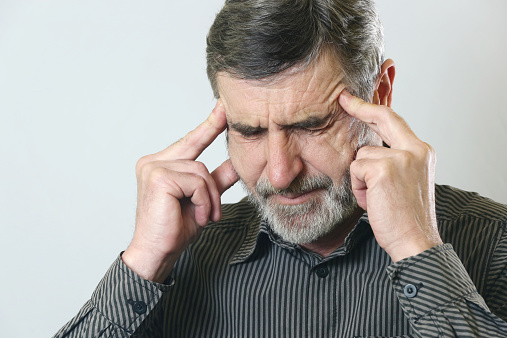 According to several researchers, as a person ages, inner ear abnormalities can become more persistent and cause non-vertigo-type dizziness. This type of dizziness can also be referred to as positional dizziness, and it can be triggered by sleeping with your head in a specific position. 2. Stroke or mini stroke: Dizziness, along with loss of balance and coordination, can be a sign of a stroke. These symptoms can last for a few minutes up until one to two hours before the stroke actually occurs. 3. Dehydration: If you have spent hours in the heat, or exhausted yourself over an intensive workout and you haven’t eaten or drunk anything all day, you will begin to feel dizzy because your body needs nourishment. 4. Medications: Dizziness is often a common side effect of some medications, especially for blood pressure medication. Speak to your doctor if you experience extreme dizziness after taking an over-the-counter medication. 5. Anemia: Anemia is when your body has low levels of iron; the main side effects are fatigue, low energy, and dizziness. 6. Meniere’s disease: Those who are in their 40s and 50s are more prone to develop this condition, which directly affects the inner ear. The person may experience dizziness or vertigo, but may also experience a constant ringing in the ear, or even hearing loss with pain. If the disease flares up, it can last anywhere from 20 minutes to 20 hours. 7. Low blood pressure: Lowering your blood pressure can be beneficial, but at times it can get too low. If the top number of a person’s blood pressure is below 100 and the bottom number is below 60, the person will be categorized as having low blood pressure. Someone whose blood pressure drops to that range at a rapid pace will experience dizziness. 8. Hypoglycemia: Low blood sugar levels are always associated with feeling dizzy. This symptom is very common for people who are diabetic; dizziness is a sign that the blood sugar levels are dangerously low. 1. Fainting: This could just be lightheadedness, but at times the person may actually faint. 2. Confusion: When someone feels really dizzy, they may feel confused and forget where they are or what they are doing. 3. Feeling off balance: When a person becomes dizzy, chances are their head is spinning, which affects their eyesight and sense of balance. 4. Chest pain: This mainly occurs if you are having a stroke or a heart attack. 1. Water: This is especially effective if you are dehydrated; a cold glass of water will help keep the dizziness at bay. 2. Breathing: Controlling your breathing can relieve your dizziness. Try counting from one to five while inhaling and then count back down to one as you exhale. This deep breathing will provide your brain with oxygen, which will help relax the nervous system. 3. Exercise: The simplest exercise is one of the most beneficial for dizziness! Stand still, move your neck clockwise in a full circle, and then counter-clockwise. 4. Concentration: When you become dizzy and begin to experience imbalance in the equilibrium of the body, the best thing to do is lie down and concentrate on the objects around you. This will distract the mind from the dizziness and also restore your equilibrium. 5. Massage: A massage will help boost the blood circulation in the body and will relax the nervous system, which more than likely will cure the dizziness. 6. Ginger: Much like a massage, ginger cures dizziness by improving blood circulation through the body. Though it is a common symptom for many diseases and disorders, these home remedies seem to have a more plausible effect than over-the-counter medications. If you are constantly experiencing dizziness, you may want to consult your doctor and get a proper diagnosis. 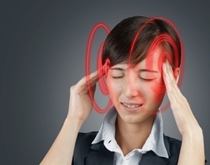 Gabbey, A.E., “What causes dizziness? 84 possible conditions” Healthline web site, http://www.healthline.com/symptom/dizziness, last accessed June 24, 2015. Cunha, J.P., “What are the symptoms of dizziness?” eMedicineHealth web site, June 18, 2015; http://www.emedicinehealth.com/dizziness/page3_em.htm#dizziness_symptoms. Atkins, A., “8 Reasons You Get Dizzy,” The Huffington Post web site, April 1, 2015; http://www.huffingtonpost.com/2015/01/04/causes-dizziness-_n_6334864.html?ir=India&adsSiteOverride=in. “20 Tested Home Remedies for Dizziness,” Home Remedy Shop web site, November 22, 2013; http://www.homeremedyshop.com/20-tested-home-remedies-for-dizziness/.